The Montana Fly Company's Crabby Patty is a must have for permit and even a good one for redfish and bonefish. A combination of materials but the silicone legs and claws really make this fly. Lead eyes hidden on the underside as well ensures that this fly sinks correctly and sinks quickly. Has surely become our best selling crab pattern. The Crabby Patty from Montana Fly Company is one of our best selling flies for permit. This one is a killer!!! 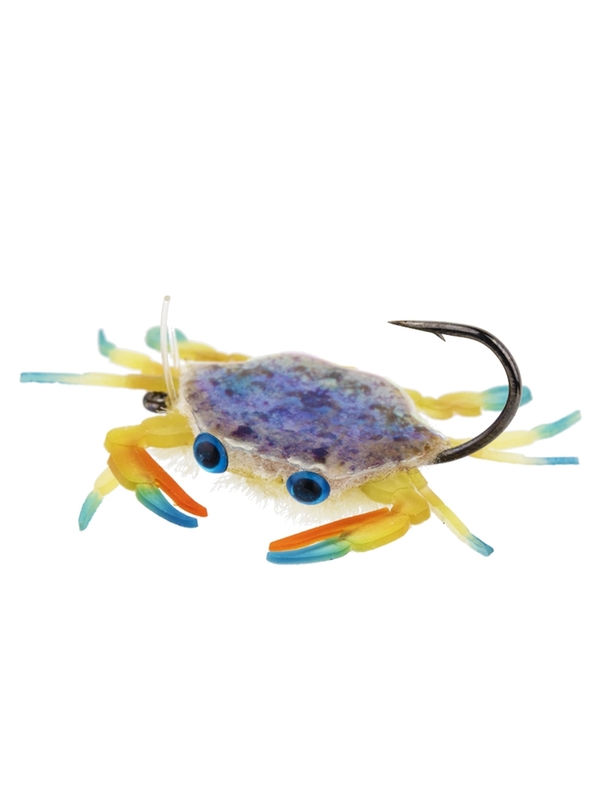 Probably one of the most realistic blue crab patterns you will ever find!! MFC Crabby Patty fly sold here in size 1.